New Zealand's prime minister says 40 people were killed at two Christchurch mosques on Friday after shootings that she said "can now only be described as a terrorist attack." 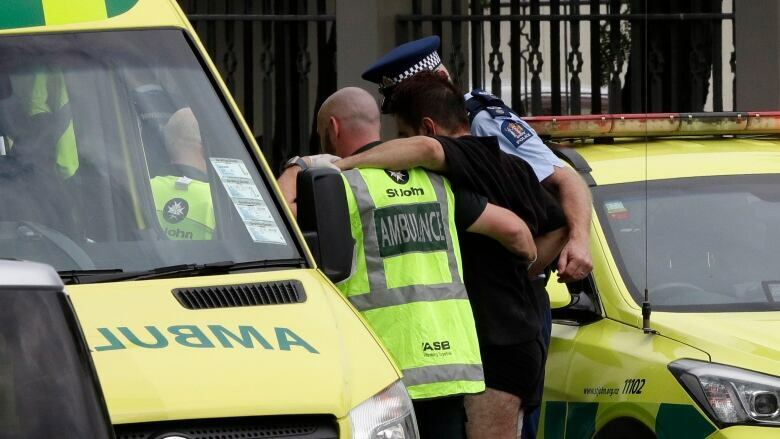 Jacinda Ardern condemned the violence, which left at least 20 people seriously injured, and said police are currently questioning the people in custody. "Tonight, our thoughts and prayers need to be with those affected," she said. "This is not who we are," she said. "This act was not a reflection of who we are as a nation." 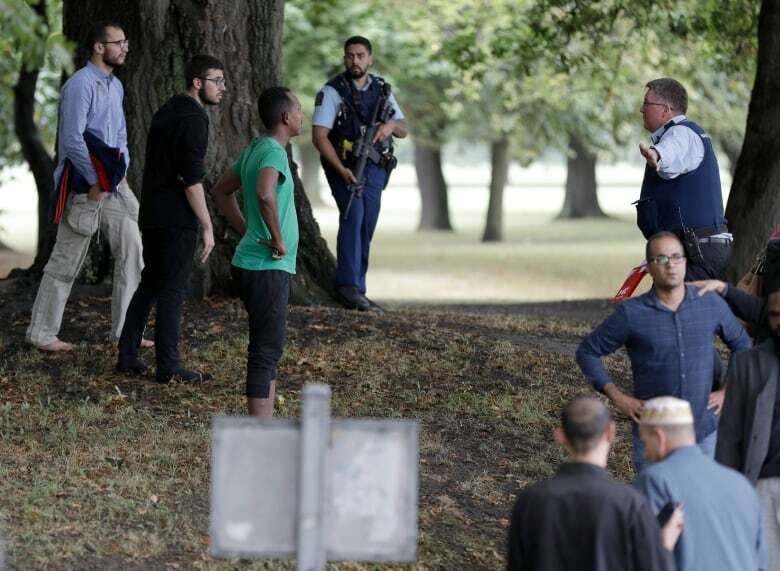 She said the events in Christchurch represented "an extraordinary and unprecedented act of violence"and acknowledged many of those affected may be migrants and refugees. Ardern praised police for their work in apprehending suspects and disarming the explosives that were attached to cars. Earlier, New Zealand Police Commissioner Mike Bush said that staff had arrested four people, adding "I won't assume there aren't others at large." Ardern gave a different number, saying three people were in custody. The mosques were full of people attending Friday prayers. 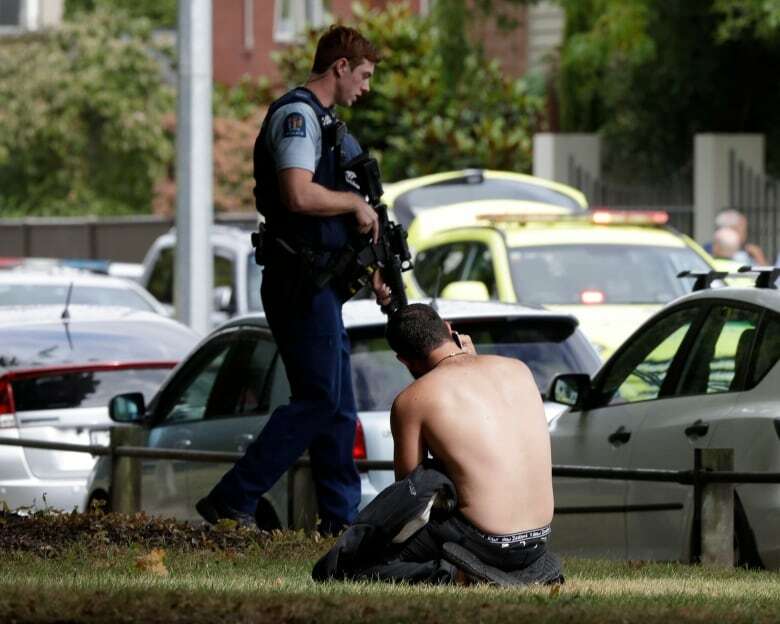 The deadliest shooting occurred at the Masjid Al Noor mosque in central Christchurch at about 1:45 p.m. local time. Witness Len Peneha told The Associated Press he saw a man dressed in black enter the Masjid Al Noor mosque and then heard dozens of shots, followed by people running from the mosque in terror. Peneha said he went into the mosque to try and help: "I saw dead people everywhere. There were three in the hallway, at the door leading into the mosque, and people inside the mosque," he said. "It's unbelievable nutty. I don't understand how anyone could do this to these people, to anyone. It's ridiculous." Police did not offer any specifics or identifying information about the people in custody. However, Australian Prime Minister Scott Morrison later confirmed that one of the people in custody is Australian. A man who claimed responsibility for the shootings left an anti-immigrant manifesto in which he explained who he was and his reasoning for his actions. 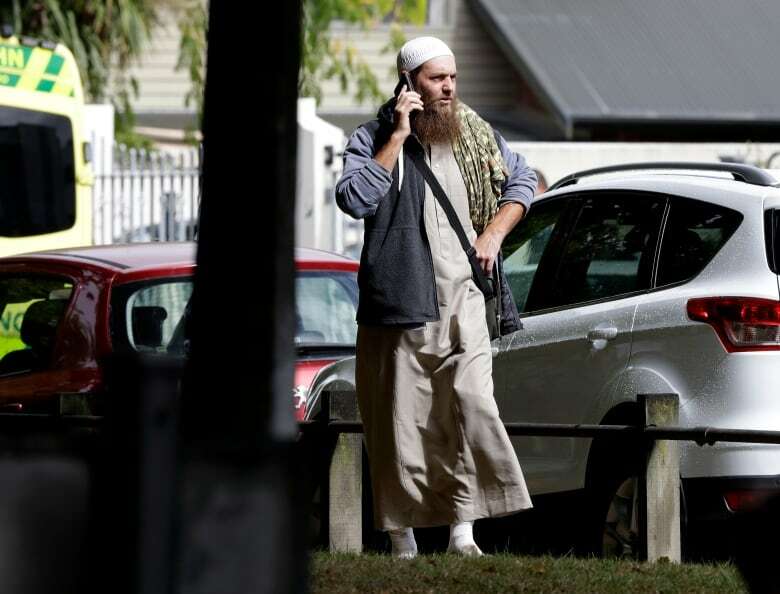 The man, who said he was Australian, said he considered it a terrorist attack. When asked if police know anything about motivation, Bush said "not conclusively." Police are still looking at the circumstances of the attack, Bush said in response to a question about whether it was being considered as a terrorist attack. "It doesn't get any more serious in this country," he said. Bush also commented on video purporting to show the attack that was circulating online, saying he is "absolutely aware" of the footage and calling it "very disturbing." "It shouldn't be in the public domain and we're doing everything that we can to remove it." Earlier, Ardern called it "one of New Zealand's darkest days." She said the perpetrator "has no place in New Zealand." She said the victims, some of whom may have been migrants or even refugees to New Zealand were part of their community — "they are us," she said. "The person who has perpetuated this violence against us is not." Christchurch Mayor Lianne Dalziel said in a video posted on Facebook, "I would never believe that I would be standing in front of a camera and talking to the people of Christchurch about the shocking incident that has affected us all." She urged people to stay calm, stay inside and trust the police. "Let's not presume that the danger is gone," Bush said, adding that police will continue to be highly visible in the neighbourhoods affected. He also said it was not possible to assume that the attack was isolated to Christchurch, saying: "At this point in time we should never make assumptions." Earlier Friday, an eyewitness told 1 News Now, "The gunman came through the main entrance, everyone ran to the back doors to save themselves, people hid under cars and jumped the fence to escape. I hid at a house next to the mosque and the firing went on and on. "I saw a guy reloading and changing a gun then start firing again." 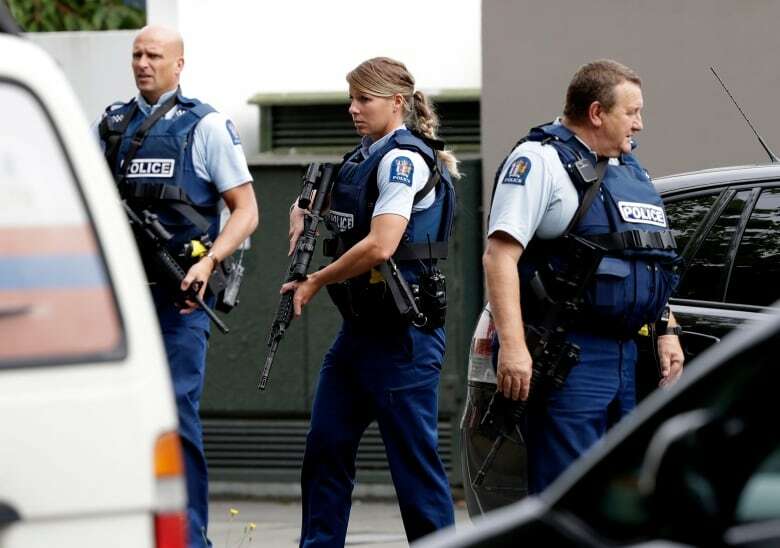 Mario Villavarayen, strength and conditioning coach of the Bangladesh cricket team was quoted by the New Zealand Herald as saying that the team was close to where the shooting occurred, but was safe.